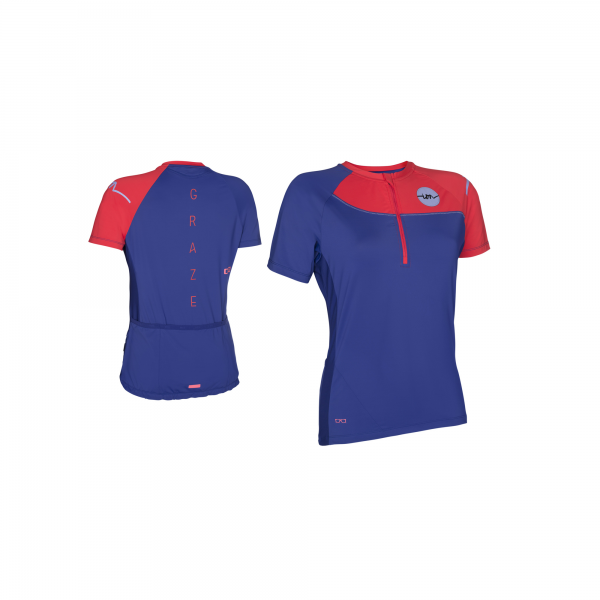 Produktinformationen "ION Tee Half Zip SS Venta Women - Sea Blue"
Weiterführende Links zu "ION Tee Half Zip SS Venta Women - Sea Blue"
Zipped short-sleeved jersey made of a functional fabric mix in a sportive Performance Fit cut. Combination of Sanitized and Quick Dry finished fabric on the main body and thinner, fast wicking sanitized side panels. Three pockets on the back, middle one featuring a Phone Neo, which is a neoprene padded pocket to hold your mobile device in place and protect it against light rain and small impacts. Integrated glasses wipe called clear optics. Reflective details for additional safety on evening rides.